The immediate availability of the FMXi 4g solution remains the top storyline for GatesAir’s radio business at NAB. 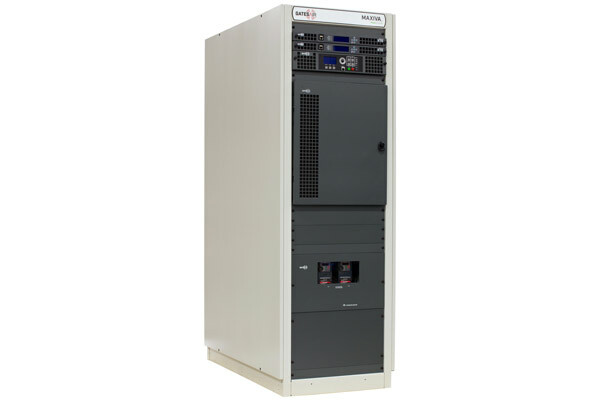 GatesAir’s IT-embedded approach is a significant departure from previous-generation designs, providing an integrated platform that is reliable and maintenance free compared to computer-based platforms. Ted Lantz, Vice President and General Manager, Radio Product Group for GatesAir notes that the convergence of Exporter and Importer functions into a single software-embedded system represents an important future direction forGatesAir. The FMXi 4g joins the recently-announced Intraplex Ascent embedded Audio over IP solution in GatesAir’s future strategy around IT and broadcast convergence. GatesAir will demonstrate the FMXi 4g as part of its complete HD Radio Gen4 solution, along with its new Flexiva FAX 7.5 transmitter, at NAB. In addition, GatesAir supports many of the largest SFN deployments worldwide, including digital TV networks in Brazil (ISDB-Tb) and Asia (DVB-T2); as well as MaxxCasting SFN systems for FM radio in the United States. GatesAir will also participate in key ATSC 3.0 demonstrations around the NAB show floor, including a North Hall SFN demonstration sponsored by the NAB Science and Technology department. GatesAir will provide one of four transmitters powering live, on-air broadcasts for the network. Visitors to the GatesAir booth (N3303) can see the operational Maxiva UAXTE along with the live, real-time ATSC 3.0 broadcast. An active demonstration at Booth N2512 as part of ATSC’s “Ride the Road to ATSC 3.0” campaign will also allow attendees to experience the North Hall SFN demonstration, and explore the many opportunities that the ATSC 3.0 standard and NextGen TV offer to local broadcasters. GatesAir will additionally introduce a new range of ATSC 3.0-ready, low-power Maxiva ULXTE transmitters at NAB. Covering LPTV requirements from 10 W to 2 kW, the new compact transmitter designs have been developed to serve global customers with limited real estate and high operating expenses, as well as low-power U.S. broadcasters moving to new channel assignments in future repack phases. These new models will be demonstrated alongside GatesAir’s broader.